John Takes Pop-Culture: "Based On"
It is one thing to be inspired by one work of art and so make another. This inspiration will involve the use of at least a few elements of the story doing the inspiring, and that is fine. An idea worth expressing and exploring can probably stand to be approached a few different times and from a few different angles. This is part of the ongoing conversation between artist and audience. The audience consists of human beings (all of whom are artists to one degree or another) and some of them will make artifacts in response to artifacts. Although at times they simply say “inspired by”, this is one use of the term “based on” as seen in the credits of many a movie. This is a strange term; a metaphor that never seems apt. In this first case – stories inspired by other stories (like The Terminator, Total Recall, or The Omega Man) – the works are more “based off” their inspirations (as some with a scattershot approach to prepositions would say). They sort of take a running leap off whatever they started with and end up somewhere else. 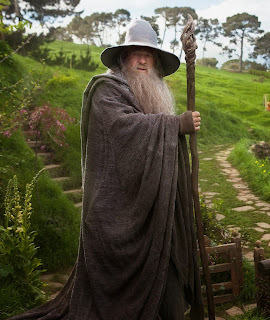 A man in a costume inspired by Gandalf the Grey. “based on” for which it is equally inaccurate, and this second concept is more suspect. These are movies like the recent “Ender’s Game,” “The Hobbit,” and “The Lord of the Rings” movies. What “based on” in the credits of these movies seems to mean is something like “this movie claims to tell the same story as another work of the same name, but in a different medium than originally intended. Also, we’ve cut things out because of the new medium’s limitations, and we’ve changed other stuff because we wanted to”. Not so much “based on” as “started with and then heavily modified”. The first kind of basing-on has a clear nature and wholesome use; it is as natural as picking up someone’s language and turns of phrase because you live with them. But is the second kind worthwhile? Personally, I enjoyed the new Ender’s Game movie. It handled certain aspects of the original work (the ones they chose to depict) in interesting ways, and the things they changed where odd, but not particularly bothersome. But, this is no ringing endorsement. Is the movie better, or even equivalent, to the book it attempts to emulate? No. “Ender’s Game” the movie is not an effective replacement for “Ender’s Game” the book. But it may effectively replace the book in people’s minds, whether it is worthy of it or not. This is, very unfortunately, what seems to have happened to the Lord of the Rings. 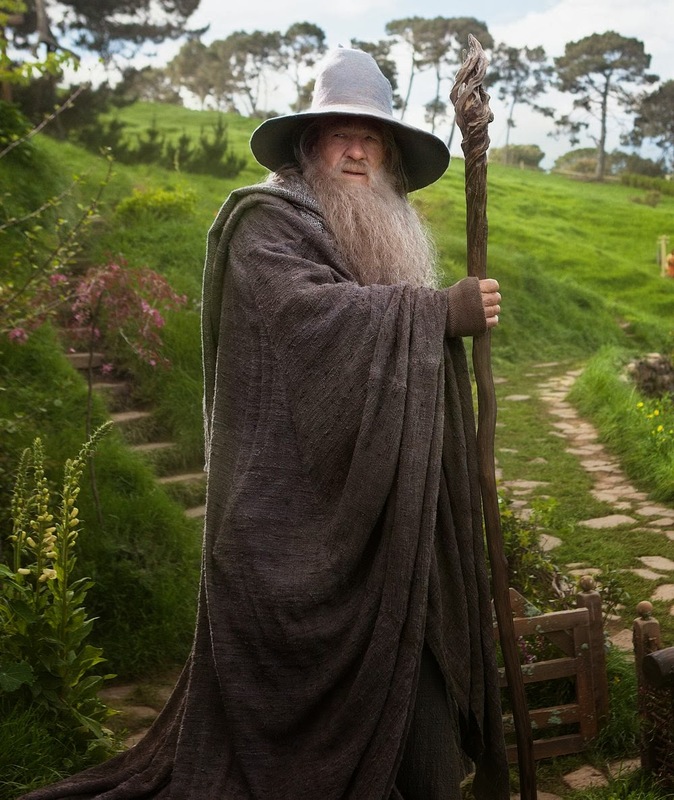 The movies are generally acclaimed and treated as a good visual adaptation of Tolkien’s books. People seem to think that seeing these movies is not just seeing something in its own right, but that it is seeing (rather than reading) The Lord of the Rings by J.R.R. Tolkien. But what they’ve seen is only something that uses The Lord of the Ring’s name, and (some) of the Lord of the Rings’ plot-points. There are, of course, the usual limitations when attempting to “adapt” a book to film: paring down what is depicted, etc. But, these “adaptations” go further without acknowledging the major difference it makes. For example, Tolkien took lies very seriously. Faramir (at one point in the books) declares that he would not even lie to an orc, and the other characters are very careful to be truthful even if they are not completely forthcoming. If someone lies in the tale it is a big deal and means something significant about the character. In Peter Jackson’s films, on the other hand, lies are thrown around casually. There is one scene I can think of specifically (when Faramir is interrogating Frodo) which Tolkien manages to handle without having anyone lie, but Jackson and his gang simply change to include a lie for no apparent reason. I’m not saying that Tolkien’s excellent, seminal work of epic fantasy is required reading (not here at least) but I do wonder if these filmmakers are doing anything but putting words in other artists' mouths. I’ve actually had difficulty thinking of any reason to do this kind of adaptation except the promise of a “built-in” audience for whatever the new artist wants to say, because people are attracted to the name. I invite you to think about whether this is respectful, or worth the time.